LAS VEGAS (Jan. 27, 2015) – The World Series of Poker has made a change to its payout structure for the Main Event, replacing the $10 million first place guarantee in favor of guaranteeing 1,000* places receiving winnings. With a strategy to more broadly distribute the prize pool, the WSOP Main Event will still award a massive prize to its Champion. 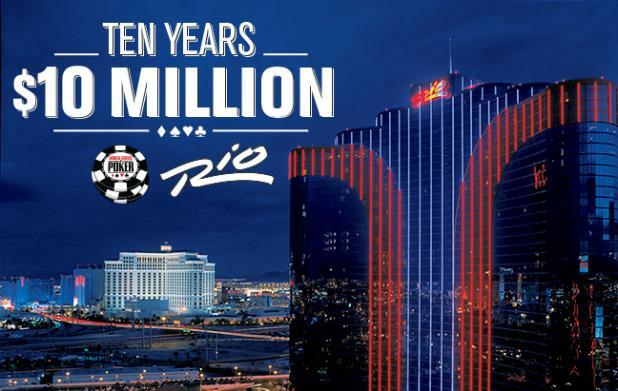 If participation numbers are the same as 2014 (6,683) the 2015 winner would receive $8,000,000, a prize consistent to winners of the past decade before last year’s $10 million first place prize to commemorate the 10th anniversary of the event at the Rio. In addition, all final table participants would receive at least $1 million. The WSOP recognizes the Main Event is a unique tournament onto itself, given the highly international field, percentage of repeat players and lofty $10,000 buy-in. The WSOP believes paying a higher percentage of players in this particular event, (based on last year’s entry figure would be akin to 15 percent of the field – nearly 50% more players than previously) will encourage both new and repeat participation for the Main Event, and thus an increased prize pool. The world’s longest-running poker tournament — the $10,000 buy-in No-Limit Hold’em WSOP Main Event championship — runs over ten consecutive days from July 5 – July 14, 2015 and will feature three starting flights – Sunday, July 5; Monday, July 6; and Tuesday, July 7. The current slate of individual events offered during the 46th Annual WSOP is almost finalized, with 60+ official gold bracelet events on tap and will be announced in full in the coming days. * The event must have a minimum 5,000 entrants in order to pay 1,000 places. About the World Series of Poker The World Series of Poker® is the largest, richest and most prestigious gaming event in the world, having awarded more than $2 billion in prize money and the prestigious gold bracelet, globally recognized as the sport’s top prize. Featuring a comprehensive slate of tournaments in every major poker variation, the WSOP is poker’s longest-running tournament in the world, dating back to 1970. 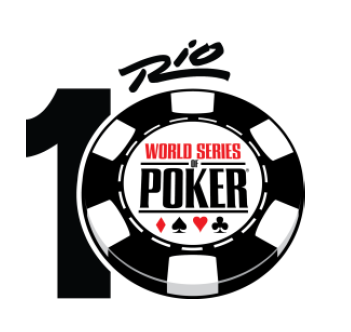 In 2014, the event attracted 82,360 entrants from 110 different countries to the Rio All-Suite Hotel & Casino in Las Vegas, and awarded more than $227 million in prize money. In addition, the WSOP has formed groundbreaking alliances in broadcasting, digital media and corporate sponsorships, while successfully expanding the brand internationally with the advent of the World Series of Poker Europe in 2007 and the World Series of Poker Asia-Pacific in 2013. For more information on the World Series of Poker, please visit www.wsop.com.